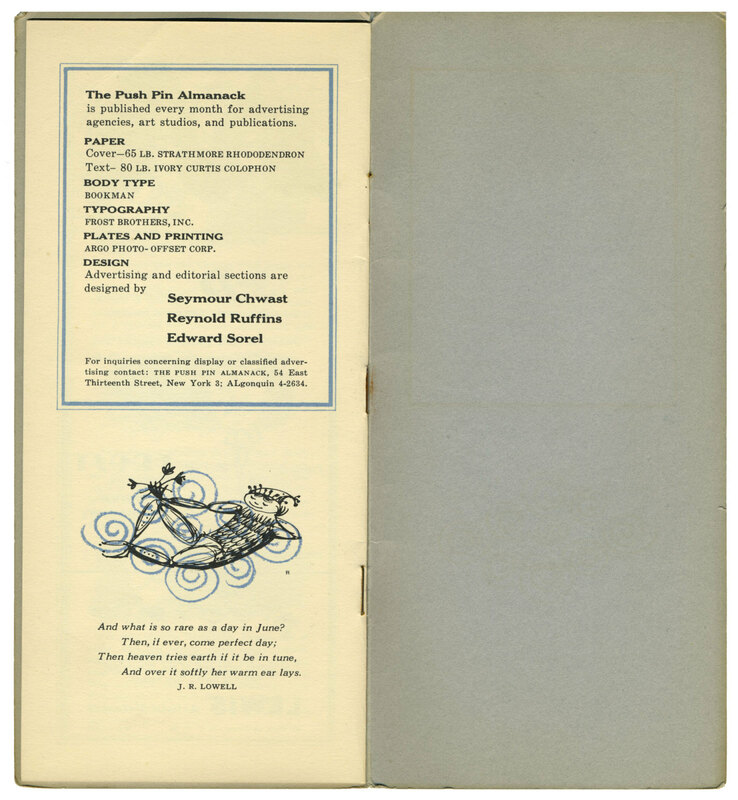 A precursor to the Push Pin Monthly Graphic, Chwast, Reynold Ruffins, and Edward Sorel started the self-promotional Push Pin Almanack in 1953. 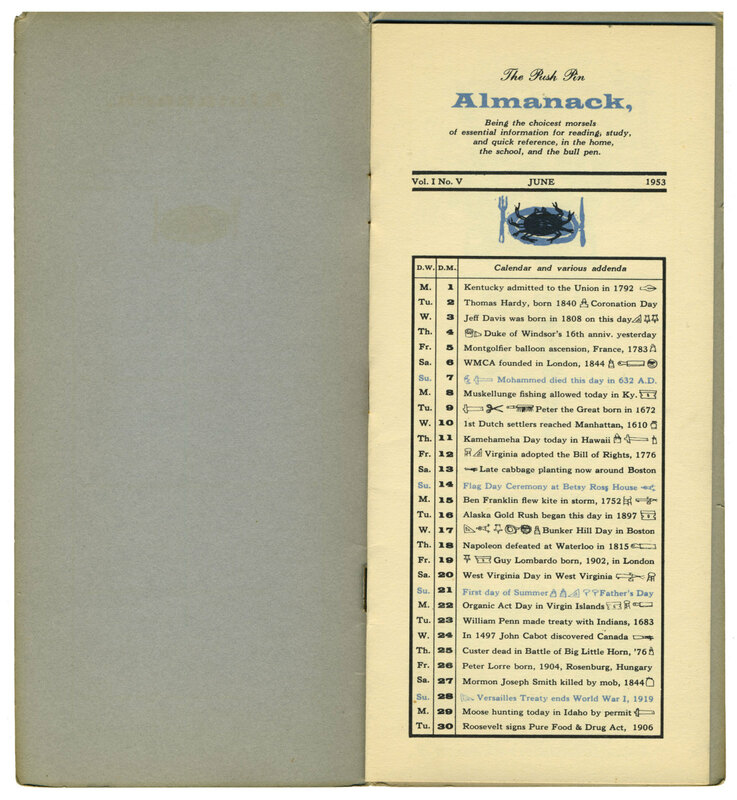 Modeled after early editions of the Farmers’ Almanac, and inspired by designers like Jack Wolfgang Beck, who sent out a series of blotters, the mailer lasted for 15 issues. 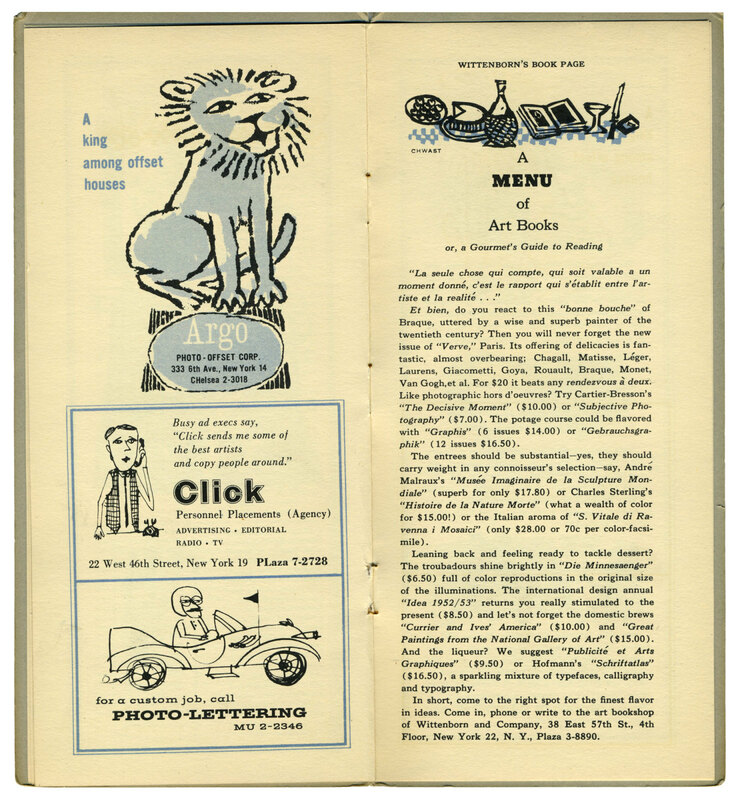 From the very beginning, paper, printing, and type were donated in exchange for ad space. 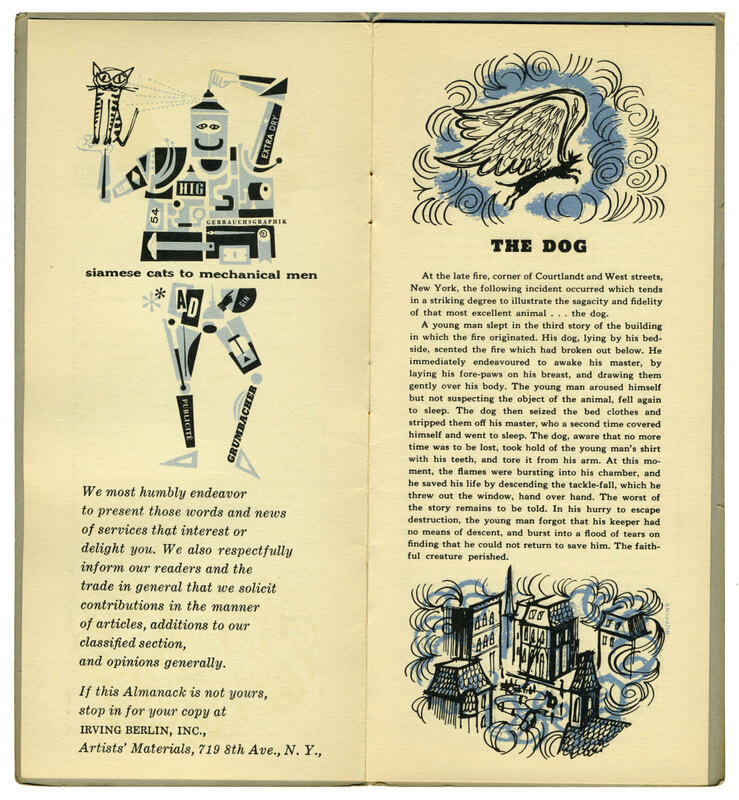 The advertisements were then designed in the spirit of each issue. Original Push Pin logo designed by Reynold Ruffins.